I just wanted to say thank you for the amazing bouquets you did for my wedding this weekend. The gerberas were beautiful, and the ones for my hair were perfect! 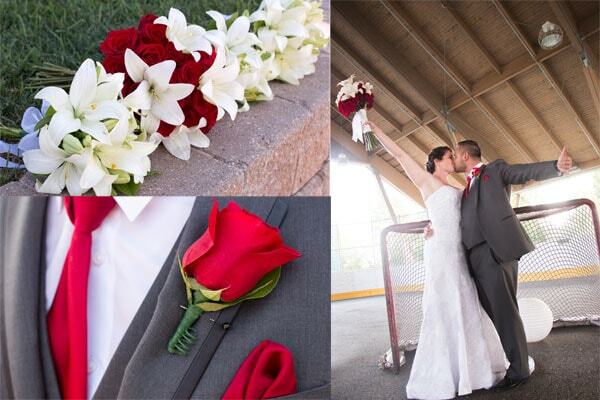 The guys’ boutonnières were also perfect! You saved me from an extremely tough spot when we first came to you and I’m so happy and grateful that you did! I will always recommend you guys to anyone that is getting married. You guys are awesome! Thanks again so so much! Thank you for delivering the flowers! my daughter sent me a photo of the bouquet! They are beautiful! She and I are very happy with them! Will be letting my friends and family know in your area, of your expertise and helpfulness and the beautiful flowers! Sending birthday flowers to my best friend in the Ontario wilderness of Ahmic Harbour has become a tradition thanks to the Flower Garden. My friend is always thrilled by the beautiful arrangements. She sends photographs to me in Nova Scotia and I can honestly say that the arrangement always exceed my expectations. Friendly, helpful service and heroic February deliveries. I just talked with my bubbling happy Mumzie. She is over the moon with the entire arrangement. Loves the butterfly touch and the low overall height. She says it’s the prettiest dainty arrangement ever. So thankyou for following my guidelines so perfectly. 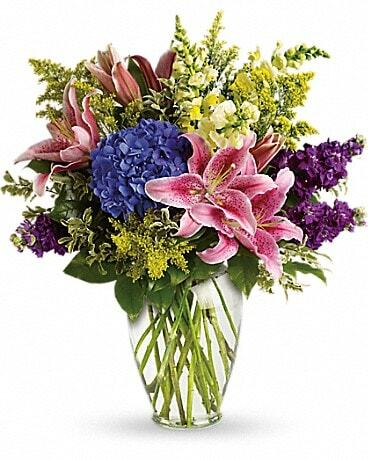 An aside - prior to ordering from you I asked both my sister in law and a close friend which flower shop they would recommend I use. Both live locally. Your establishment was not mentioned. Something told me to search on line myself. Your site, customer comments and story impressed me. Then to see a pic of your actual store in NB, well that was the clincher for me. I would happily walk into your place. I will talk with the above two ladies and give them my recommendation! The Flower Garden has always taken the extra steps to make each and every piece memorable for each occasion that I may ask for. 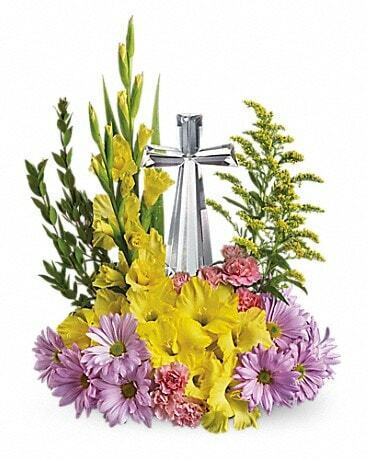 Many times my friends and family are amazed as to how different and special the arrangements are that they receive. For the arrangements for my out of town requests, they are always handled in the most special way. Thank you so much. The succulent garden is beautiful. I appreciate how quickly you filled my order. I wanted to thank you for helping me make my mother’s day a little brighter today. Life is hard when you are hours away from all of you kids. 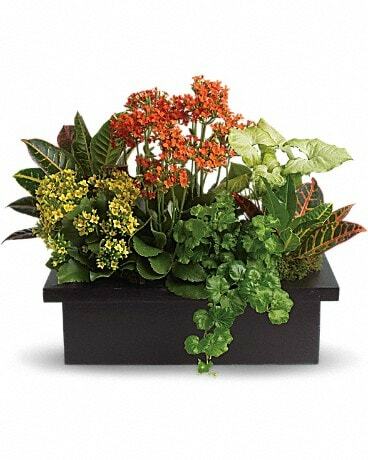 I hear that you made a stunning arrangement for her and I just wanted to say Thanks. 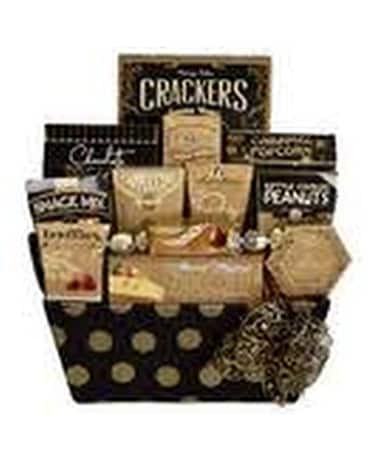 Thank you so much for the great service my father was thrilled with the fruit basket and goodies. I will definitely use you in future again. Ava has just called to say that her flowers are beautiful! Thanks, girls. You're so pleasant to deal with. Cheers from way out here. Thanks so much. Always so pleased with the service I get at the Flower Garden. Wouldn’t think of going anywhere else for my flower orders. Been dealing with Flower Garden both in Sundridge and Burk’s Falls for years. Staff always very helpful, especially Jenny in Sundridge. Sorry for the delay, but I wanted to let you know the arrangement was perfect! The recipient sent us a photo and it was exactly what we wanted and they really liked it – such a cute little puppy. I’m writing from BC. Yesterday, I wired a flower arrangement from a local supermarket to our granddaughter at Nipissing U, through your store. Ava received her flowers this morning and reported that they’re beautiful. Thanks so much for the speedy delivery; you’ve brightened all our days. This is a long overdue thank you for your your beautiful work on my wedding flowers. I was so thankful when I walked into your shop and was welcomed with curious customer service and great suggestions to work within a budget while getting beautiful flowers for my wedding. I am so impressed with your work and encourage anyone to use your service. I had so many compliments on my bouquet and was very happy with the flowers for the wedding party and my parents. “Thank you so much my friend had a wonderful birthday, and loved the flowers. Thanks for getting the Order out to her today. It has now been a full week since I received a beautiful vase of flowers from my "other" son (who calls me Ma). He remembered me on Valentine's Day! They look just as beautiful as the day they arrived. Just wanted to let you know how much I am enjoying them. “My daughter Jessa just called me for thanks and she loves the Crabtree bath basket. I will definitely use your service in the future. 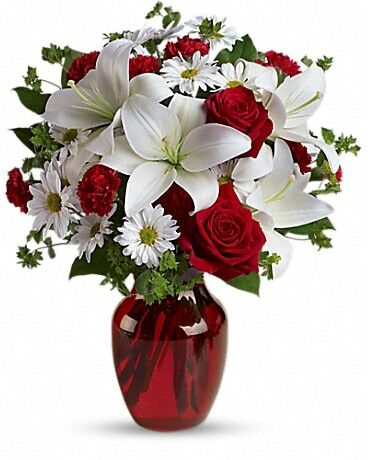 This is my first time ordering flowers via the internet and it has been very pleasant experience. Hello Kelly,It is always a pleasure to deal with you and your team. I have been ordering different gifts from your company over the past three years and I have always been treated like I was your best customer. I know you must have many great ones but it made me feel part of your team, or like family every time I called or had contact through emails. I know that the wonderful lady who is the recipient of those gifts has always appreciated your handiwork. Thank you for being a good part of my courting and helping me in expressing my love for S. Hoping that you will have many other wonderful stories to print here. I wanted to thank you again for our perfect wedding bouquets! You truly captured the look I was trying to attain! Hello Kimby, Just to let you know that the feedback I got from my mother was that the flowers were absolutely gorgeous and full. Thank you again. I will order from you again in the future. I just wanted to thank you for the wonderful flower arrangement you delivered to my friend on my behalf. She called me and was extremely pleased and surprised by this beautiful arrangement and I have your store to thank for the beautiful job you did. If I ever send another in the future I will be sure to use your reliable service! God bless! Kimby, My sister Jackie received her flowers today. Thanks so much for making her birthday remarkable. She is thrilled with the arrangement you did for her. 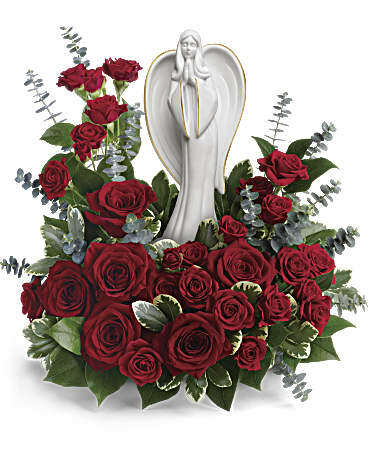 Hi,I just wanted to thank you for the quick preparation and delivery of the flowers delivered to my mom.My mother was very happy! Your arrangement was awesome and admired by all. Hello Kelly, Just wanted to say thank you again for your patience, helpfulness and a extraordinary customer service! I know you went out of your way to find a cat for me (I appreciate that it takes time to check all those nooks and cranny's!) it is much appreciated! I just wanted to take a minute and thank you for the wonderful job you did on the flowers and for making my daughter's day complete. Everything was amazing. Jessica's bouquet was exactly as she dreamed it to be. When the flowers arrived she was in the middle of getting her hair done and she literally stopped everything, had tears in her eyes and called you immediately. Also the candelabras were the perfect touch for the ceremony. At the reception I was asked several times who had done the flowers for the wedding so your name was mentioned quite a bit. 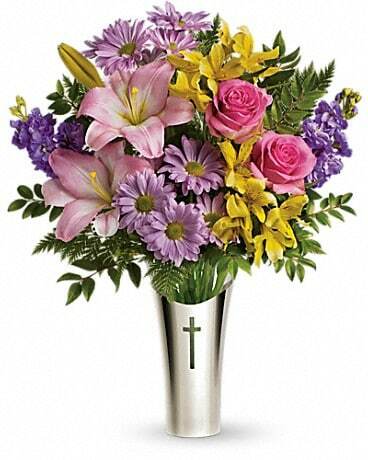 I encouraged people to come see you if they ever needed flowers for any occasion. 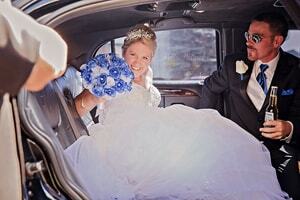 I have attached 2 photos for you to see how happy she was on her wedding day. I would like to tell you how pleased I was with your service. 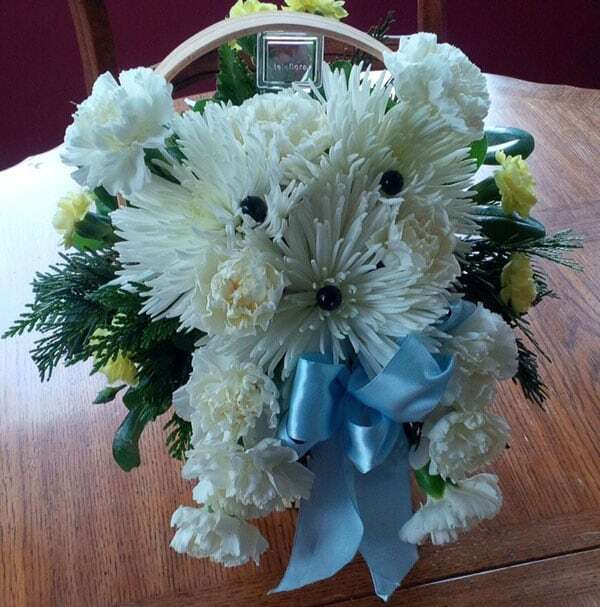 I ordered flowers for my mother's 80th birthday on April 28th/2012 and although I did not get to see them, my mother was absolutely thrilled with her flowers. She said that it was the most beautiful flower arrangement she ever received. They also have lasted a very long time. So thank you so much for your excellent service from your customer service rep over the phone, to your delivery service and the florist that arranged the bouquet. 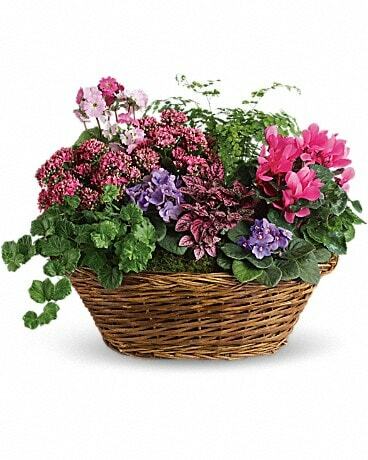 This is the first time that I have used your Flower shop and I will continue to use your service in the future. 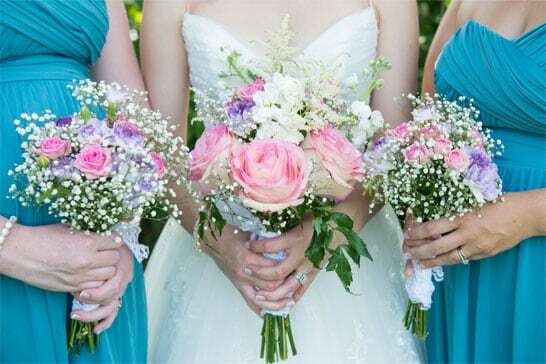 So I thought I would send a picture of the wedding party (bride and her maids) and their beautiful bouquets. Thank you so much Flower Garden, you ladies helped us a lot. 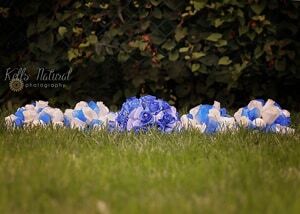 Thanks you so much Kelly for arranging our bouquets and corsages... love everything you did!! They are exactly what I was hoping for. Thank you so much!! I will definitely use you again!! Hi Kelly, The flowers that you arranged for my wedding were absolutely beautiful!! We received great compliments from several guests and they went so well with the Winter theme. Thank you for such a great service! I've attached a couple of photos of our day.